Top musicians in Sierra Leone have not only vowed to bury the hatchet after a series of gang-style violence in the capital Freetown, but are now getting into the recording studio to record an album that will reflect the true spirit of brotherly and sisterly love. 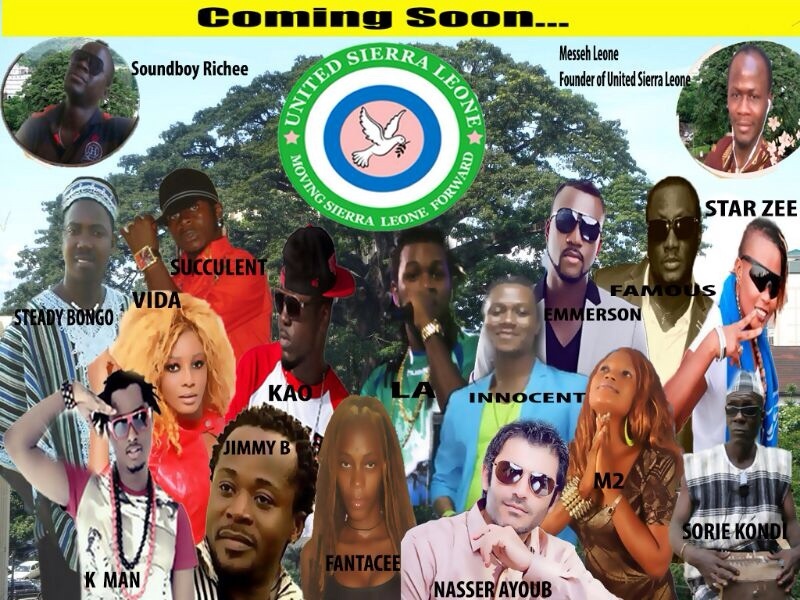 Sierra Leone’s music supremo – Emmerson, will be joined by Jimmy B, Kao Denero, LAJ, M2, Naser Ayoub, Kman, Innocent, Steady Bongo, Star Zee, Vida and many others in collaboration to release the ‘United Sierra Leone album’. It is expected that the initiative will send a strong message to local politicians who are in the habit of using the poor, unemployed youths to carry out their dirty and divisive politics of intimidation and violence. As Sierra Leoneans increasingly choose to live among those with whom they agree tribally and politically, in what Mr Messeh Leone called “the tribal politics factor,” and other factors loosen the ties that bound us into one nation, the need for a United Sierra Leone cannot be over-emphasised. The artists are united and they are coming together to unite Sierra Leone through music, as well as promote the music industry. They are demonstrating their true independence, political neutrality, honesty, accountability, transparency and love for and loyalty to Sierra Leone by producing this fine album to reject corruption, negative tribalism, injustice, poverty, youth violence, beefing among artists and to stop external interference in the music industry. The album will include theme songs and single tracks featuring: Steady Bongo, Jimmy B, Sorie Kondi, Emmerson (Photo), Naser Ayoub, YOK, Kao Denero, LAJ, M2, Mystik, Vida, Succulent, Innocent, Fantacee, SQB, Manzu, Lady Felicia, Kman, FT Fresh Music, Star Zee, Zion Yard, Alonzo, Famous and many more. The album covers a wide range of social issues, including; gender equity, extreme poverty, corruption, negative tribalism, health/HIV, climate change, energy and water supply, infrastructure, unemployment and economic issues, equality, justice, love and unity, peace and reconciliation, national cohesion, freedom, children’s rights, youth violence, conflict etc. Some of the songs will soon be aired across the country, on Saturday, 7th December 2013, in time for the Christmas festivities. Other single tracks will be released in the coming weeks and months, with a grand launching of the full album, scheduled for 2014 in Freetown at the National Stadium, where all the artists will be featured. United Sierra Leone says it is dedicated to building a national movement of artists committed to creating socially conscious music, and a Sierra Leonean community committed to bringing about positive social change, with the strong conviction that, in so doing, they can and will realise a better Sierra Leone for all. This album will promote a sense of unity that helps promote the music industry, promote development and provides creative inspiration for artists. 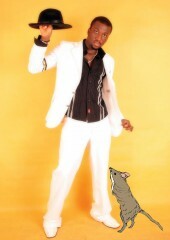 This is the biggest Music Celebration in Sierra Leone of all times.